I am no stranger to waking up in weird spots after a decently heavy night of drinking. Bath tubs, front lawns, cars..etc. What I don’t have experience with is waking up on top of a horse. Maybe it’s just me, but I don’t think I could ride or balance myself on a horse, sober. Never mind blackout drunk. That is some talent. 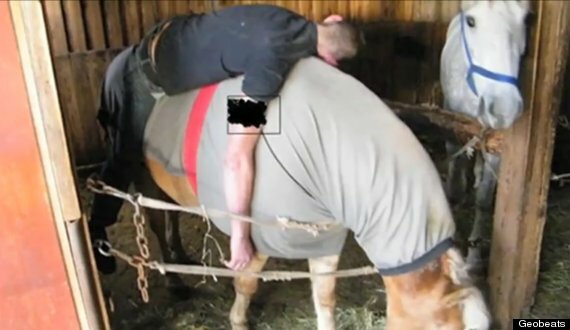 In September, Patrick Neal Schumacher, 45, was arrested after allegedly riding a horse while intoxicated. Witnesses told the Colorado University Police Department that Schumacher was wandering into traffic while going up a busy road. Witnesses also said Schumacher was hitting his horse, Dillon, but he told police he was trying to swat a fly off the horse’s head. In August, Diane Harvey was sentenced to four days in jail after slapping a mounted police officer’s horse. It all started after the officer rode up and asked the woman to empty out a large cup of beer. Harvey, who was apparently intoxicated, refused and began walking away. The officer then blocked her way with his horse, and the irate Harvey slapped the animal. In September, 2012, Charles Larkin Cowart, 29, was arrested in Bunnell, Fla., for being intoxicated on a horse, but only after he led police on a 30-minute chase. What the hell is happening to this world. Posted on October 31, 2013, in Average Blog Posts and tagged Boston, drinking, drunk, fall asleep on a horse, horse, police horse, riot, riot police, slap a horse. Bookmark the permalink. Leave a comment.